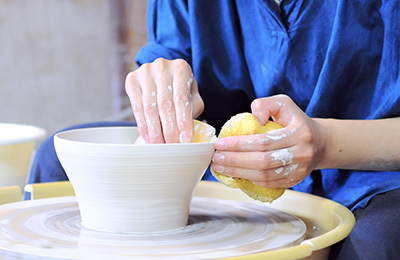 Japanese potter Misa Kumabuchi works out of her studio in Nishinomiya, Hyogo Prefecture. 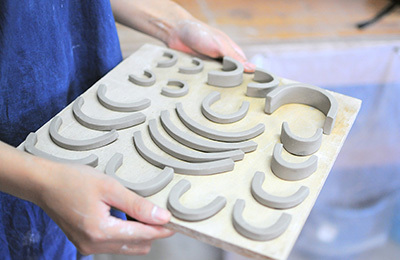 Founded in 2010, Mushimegane Books is a series of ceramics and porcelain based on the theme of people and sounds. Misa hopes that her objects expel different sounds and create an image which adds both rhythm and spice to the users life. Our journey continues in Japan as we uncover ceramicist Misa Kumabuchi, owner of Mushimegane Books. Her quaint atelier in rural Nishinomiya, Hyogo Prefecture offers the perfect environment to create her beautiful functional but characterful objects. 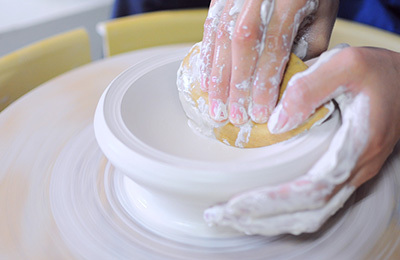 Misa works with a number of different clays, such as porcelain and earthenware, experimenting with both hand building and the pottery wheel to achieve fluid forms. 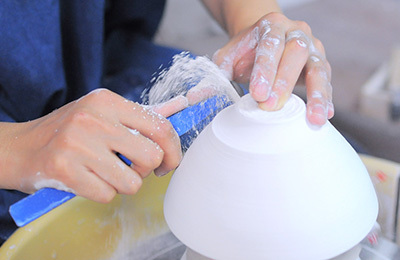 She’s able to create unusual effects on the body of her pots thanks to the use of natural materials. 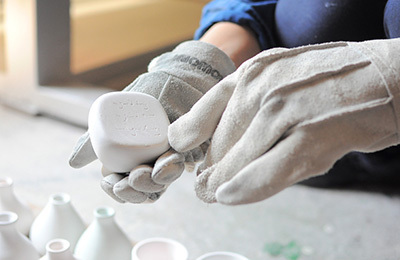 As you’ll see here in the photos, the glazes are often sourced from natural substances taken from the landscape that’s around her studio, including plants, degraded rocks and seashells. These muted tones all add character and warmth, but at the same time make the pots have a simplicity and quiet that’s very appealing. Hopefully these beautiful working images by photographer Tae Shimada, alongside a selection of product photography by Yumi Asakura, will capture the true essence of her work and how Misa goes about making them. We’re certainly inspired and hope to visit her ourselves in the near future to document the work in even more detail. Enjoy. 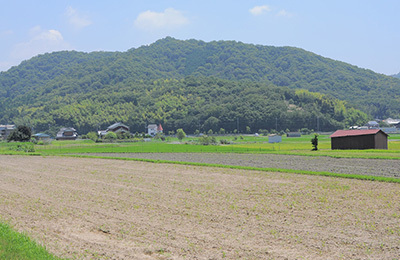 The studio of Misa Kumabuchi of Mushimegane Books in rural Nishinomiya, Hyogo Prefecture. 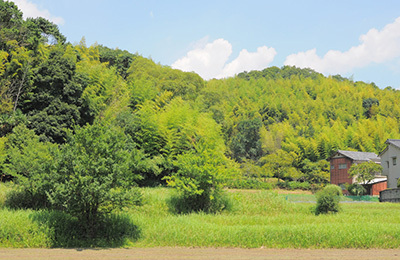 Lush green countryside that inspires Misa’s pottery, as well as offering a tranquil environment to create in. 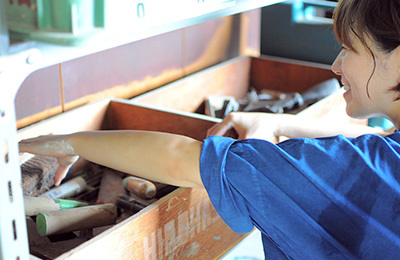 Misa Kumabuchi reaching for tools in her workshop, she uses both hand building and wheel throwing techniques. 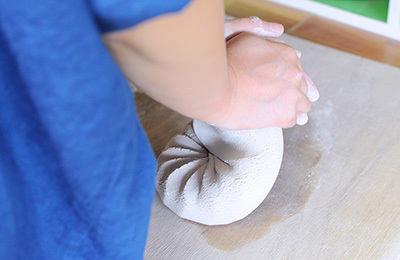 Spiral kneading porcelain clay, this releases the air bubbles and mixes the clay so it can be manipulated with ease. First Misa centres the clays on the wheel, making sure that the piece resides in the middle of the wheel. She begins to pull up the clay wall in to the desired shape, making sure the clay is even and the form is aesthetically pleasing. 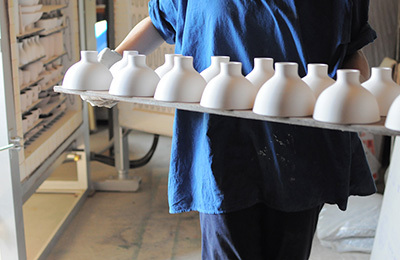 Each handle is shaped by hand, they are then attached to the vessels before they fully dry out. 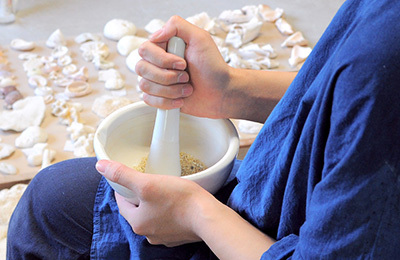 Misa uses a sharp tool to trim down the bowl and create a pleasant looking foot. 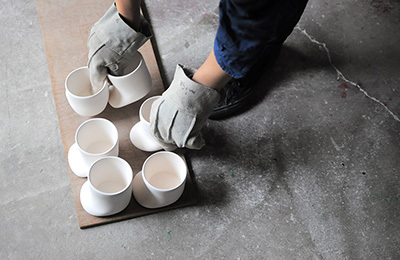 Kumabuchi carrying some of her moon bowls out of the kiln, she fires them to harden the vessels so she can apply the glaze to the surface. 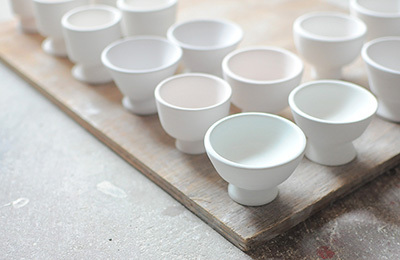 A selection of porcelain pots that have been biscuit fired in her kiln, minimal with striking poise. Mushimegane signature featured on the bottom of every pot. Misa collects seashells, coral and other natural substances, which she then turns in to glazes for her pots. More rocks and stones all taken from nature and stored for a later date, this is the base for all her glazes. 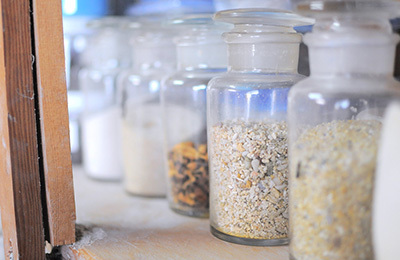 Using a pestle and mortar to ground down the substances in to a paste, she can then use this to mix with other powders and create interesting glaze effects with a natural tone. 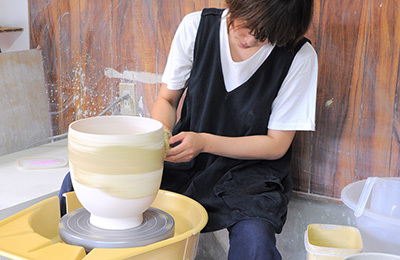 Misa applying some of her glaze to a big porcelain pot that she’s made in her workshop. Green Katakuchi by Misa Kumabuchi of Mushimegane Books, 2013. Textured Mug Cup by Misa Kumabuchi of Mushimegane Books, 2014. Mug Cup by Misa Kumabuchi of Mushimegane Books, 2014. 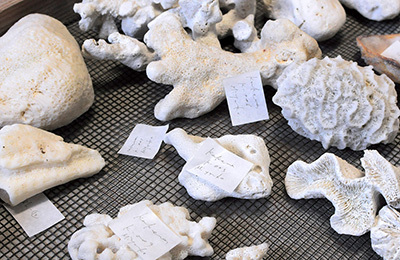 Jug Coral by Misa Kumabuchi of Mushimegane Books, 2014.